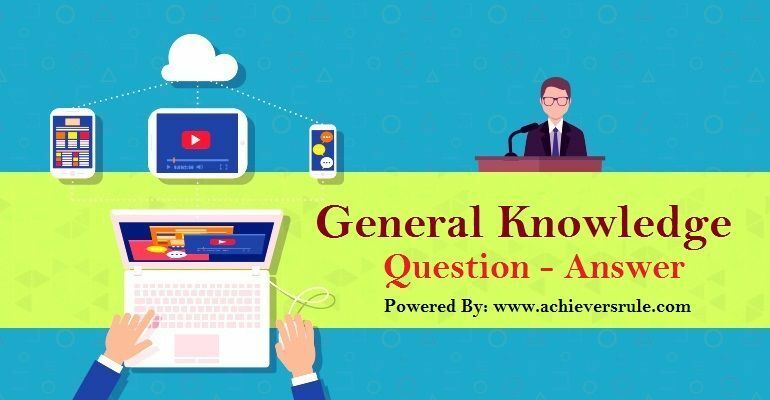 Practice the General Knowledge MCQ/Quiz for the upcoming SSC CGL exam from Achiever's Rule daily. 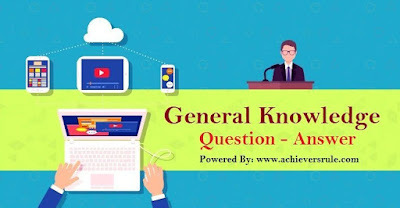 The Current Affairs Articles, Daily Current Affairs Update, Daily Current Affairs Update can help in your preparation. You must Download the PDFs available. Q1. 'Her Last Wish' is written by whom ? Q2.The scripts which are mostly seen in edicts of Ashoka is written by which language ? Q3. 'Couple Next Door' is written by whom ? Q4.The 'Great Bath' was found in which Harappan city ? Q5.Eutrophication results reduction in which of the following ? Q6.Which country is also known as ' Land of Hope and Glory' ? Q7.Which of the following cities is known as 'The Silk City of India' ? Q8.Which of the following city is known as 'The Eternal City' ? Q9.Which city of India is known as the 'Scotland of the East' ? Q10.Which plant is important in Sericulture ? Q11.Which gas is used for the preparation of Soda ? Q12.Which is the main river of Orissa ? Q13.Which is the largest river in India ? Q14.Which country produces largest amount of wheat in the world ? Q15.Punjab is famous for which of the following ?